Westminster, MD – September 5, 2018 – The Carroll County Business/Employment Resource Center (BERC) is hosting a Fall Job Fair on Thursday, October 4, 2018 from 1:00 pm – 4:00 pm at 224 North Center Street. “The Carroll County unemployment rate remains fairly low so it may continue to be more challenging for businesses to find workers. We offer this no-cost job fair as a way to help the local business community; hundreds of job seekers typically attend this semi-annual event and many great job matches are made.” said BERC Manager Denise Rickell. BERC is the premier employment and training center that provides complimentary recruitment, retraining, and retention programs. BERC helps businesses find the most qualified employees by posting jobs at the center and on the Maryland Workforce Exchange, assessing candidates using the nationally recognized program – IBM Assess, offering skills training, and hosting on-site job fairs. 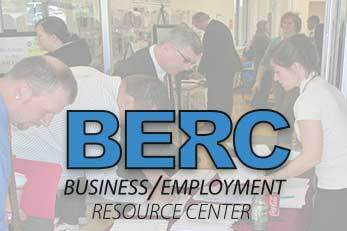 Job seekers also receive job search and training assistance at BERC. At the Fall Job Fair, businesses are provided with a recruitment table and support in managing applicant flow. BERC personnel will be on hand to help job seekers. Employers are asked to provide information in advance about the types and number of positions available. Veteran job candidates will also be in attendance. Carroll County Business/Employment Resource Center is Economic Development’s workforce agency that is part of America’s Job Network and the Mid-Maryland Workforce Development Area. The BERC mission is to develop a highly trained and effective workforce for new and existing businesses, to assist individuals in achieving employment and to encourage lifelong learning. BERC is open Monday through Friday, 8 a.m. to 4:30 p.m. For more information please call 410-386-2820 or visit the website at www.carrollworks.com.